The number of EV charging stations and approved e-vehicles in Europe is increasing at an enormous pace. 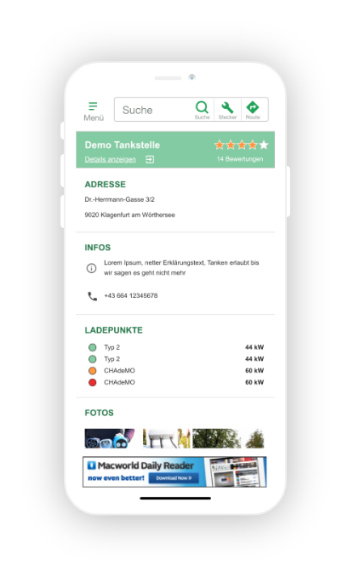 It is therefore all the more important to have a reference portal that provides all the information on e-mobility in a structured way at one site. Interactive statistics show the number of charging points available. The most important feature of the portal is the help it provides in finding the infrastructure for charging your electric vehicle. There is no uniform terminology for the infrastructure yet, possible terms are electric vehicle charging station, EV charging station, electric recharging point, charging point, charge point, ECS (Electronic Charging Station) and EVSE (electric vehicle supply equipment). The Community is the central element of the EV Charging Station Finder besides the Directory of charging points and the integration of electric recharging points in a Route planner . Every user can report charging stations for e-vehicles, including e-cars, electric scooters, e-bikes and e-boats to the EV Charging Station Finder to expand the provision of public charging points. If you operate your own EV charging station, you can simply enter your station in the directory for everyone to find. Are you the owner of an electric vehicle and would you like to buy your own charging station or add items to your accessories? You will find many innovative products in the Kelag e-Mobility-Shop – your place to shop wallboxes and charging accessories. Electric vehicles and e-mobility are playing an ever increasing role and are becoming more popular. The development from hybrid cars, such as Toyota Prius, the BMW i3 and i5 models to modern models including Tesla e-cars or VW e-Golf takes time. This update of the EV Charging Station Finder reflects the different requirements for charging these electric vehicles with their different charging capacities and connector types. The portal is always state of the art and can fall back on decades of expertise. The Austrian "Bundesverband Elektromobilität Österreich" (BEÖ) is a network of eleven companies; one of the partners is the Carinthian utilities Kelag that is in charge of implementing the EV Charging Station Finder. BEÖ operates the widest charging network in Austria with several thousand charging points. Roaming, i.e. charging at different charge point operators (CPOs), is enabled via the Hubject platform. What e-mobility needs more than anything else is the interaction of many partners. 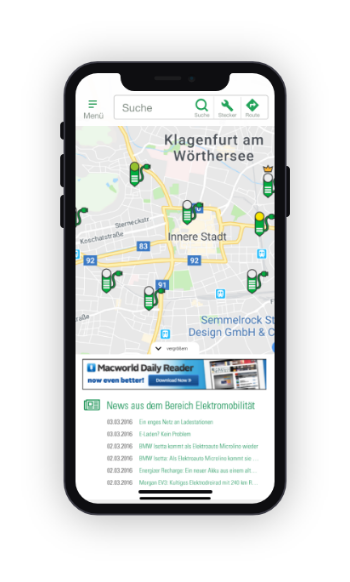 Benefit from the special service of the EV Charging Station Finder: the partner versions for integration in your own website. Be part of it and join us as a partner of the EV Charging Station Finder.